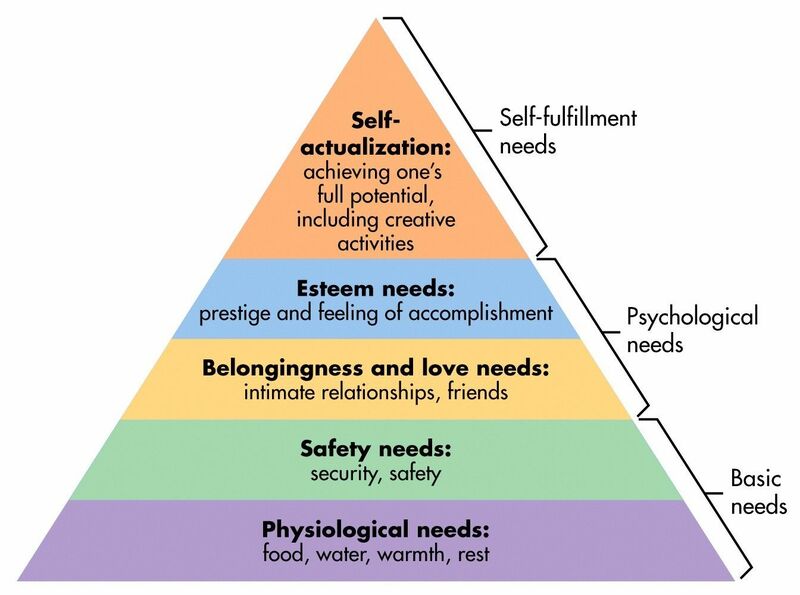 For the next 75 years, people in the behavioral sciences have shot holes in Maslow’s theory while the rest of us nod our heads and say “yeah, that sounds about right” when we’re introduced to what is known as Maslow’s Heirarchy Of Needs. Maslow’s Heirarchy is a great visual aid to keep in mind when listening to pundits and politicians. “Cutting these programs will help people achieve their full potential and provide them self esteem” sounds wonderful, but that’s like building a pyramid from the tip down. I guess that’s possible if you can defy physics, but I’m pretty sure the Egyptians started at the base and worked their way up. Physiological Needs: We all need literal, physical shelter. Safety Needs: And we need that shelter to be safe. Belongingness and Love Needs: We need proverbial shelter, too–the shelter of people whom we can trust and confide in. Esteem Needs: A feeling of accomplishment is in itself a kind of shelter. Sometimes all we have to get through today’s failure is the emotional shelter of yesterday’s success. Self-Actualization: Without all of the previous shelters, there’s no space for creativity, no confidence to take a risk, no physical place to make it happen. “The Sheltering Sky,” King Crimson. “Shelter From the Storm,” Bob Dylan. “Shelter of Your Arms,” Sammy Davis, Jr.
“Pale Shelter,” Tears For Fears. There you have it: Eight songs to seek shelter by. What did I miss? I’m hiding in my bunker, but I’m listening. There’s a couple in there I was counting on you for. Spoiler alert: Taylor Dayne was not one of them.